“How many languages do you speak?” That’s the number one question people ask me when I tell them what I do for a living. What’s my answer… one and a half! I’m pretty good at speaking English (although still learning every day) and I’ve got some basic French skills so I’m not bad at ordering cheese sandwiches and can tell you there’s a cat on the table! So why does everyone ask me that question? Because I’m an online tutor and I teach English as a foreign language using Skype. The reality is that I’ve taught students from over 40 different countries but all of my lessons are taught entirely in English. The next question is usually “Does that mean you have to teach in the middle of the night?” Absolutely not. When I first started my online tutoring business, I made a commitment to myself to work Monday to Friday between 8.30am and 5.30pm. No evenings or weekends. For the past 4 years, I’ve done that. The fantastic thing about tutoring online is that you can set your own schedule. If you want to teach 3 days a week or during school hours or maybe around another role, that’s fine. You can do it. You’re the boss. And that’s one of the biggest reasons why I quit my job 4 years ago. At the time, I was a senior manager in an English language school with a lot of responsibility for hundreds of students and a large team of teachers. But I wanted to be my own boss. I wanted to teach again, ditch the epic amounts of unpaid overtime and be in control of my future. Flexible, convenient, fun and rewarding. These are the words I now use to describe my job. How about you? If you could change one thing about your job, what would it be? More flexible working hours, a shorter commute, perhaps increased job satisfaction or more appreciation for the work you do? Since setting up my own online English school, I’ve found that tutoring online is a fantastic way to earn a living. I set my own schedule, so it’s very flexible. I work from home so the commute is zero, saving time and money every day. I’m my own boss so I can set my own prices. I can teach what I want and to who I want. I have the freedom to run my business the way I want to and the flexibility to take time off as and when I need it. Although I work from home on my own, I get to meet people every day through the video conferencing capabilities of Skype. I’m interacting with people every day doing ‘virtual travel’ around the world from Brazil to Singapore or Japan to Saudi Arabia. Every day really is a school day for me as I’m constantly learning new things and developing my understanding of the world as I speak to people from different cultures and countries. Oh and by the way, it’s really fun! I get to meet people I normally wouldn’t, find out things that you can’t learn in a text book and sometimes at the end of my lessons, I’ve been laughing and smiling so much, I forget I’ve even been tutoring. For me, being able to impart my knowledge and understanding of English to others and to help them achieve their learning goals is a wonderful job to have and it’s very rewarding. I get to make a real difference in people’s lives doing the thing I love. How about you? Are you passionate about something? Are you good at something? Is that something a skill you could use to teach others? For me, that something is teaching English. For you, that could be science or music or accounting. Maybe you’re an excellent public speaker, a singer or a secondary maths teacher. 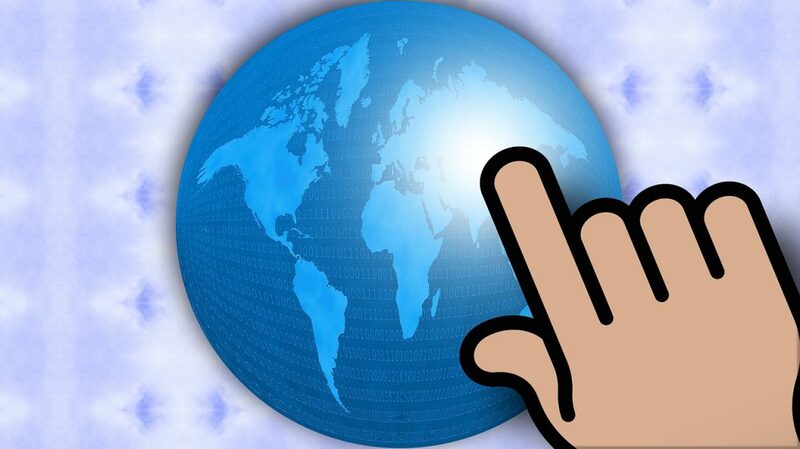 Whatever it is, you can take that passion and with online tutoring, you can share it with the world. Did you know that the tutoring industry is worth about £6.5 billion pounds in the UK alone? There is certainly no shortage of children or adults who want help from a private tutor and the demand for online tuition is constantly growing year on year. 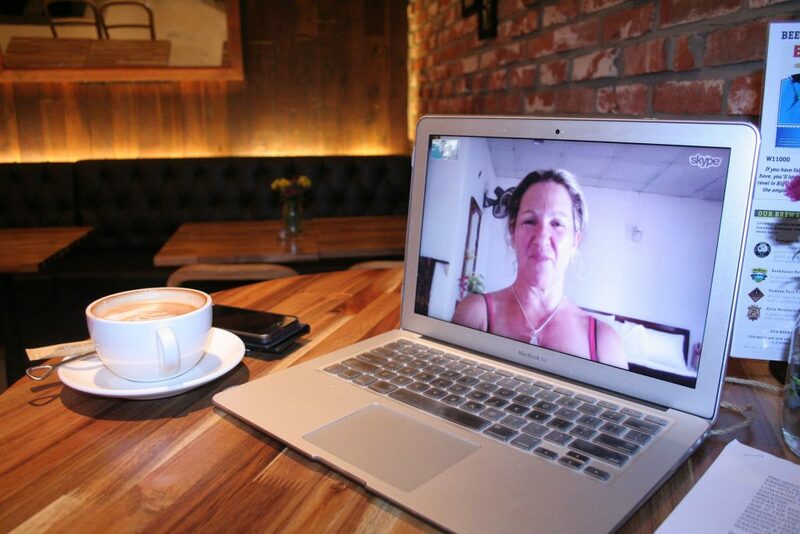 So how does online tutoring work? To get started, you’ll need a decent Internet connection and a computer with some free programmes like Skype and Google Slides. I use Google Slides (like an online version of Microsoft PowerPoint) for my lesson materials and it can be used like a virtual whiteboard. It’s great because 1, it’s free and 2, the student can see everything you see at the same time. The presentation updates automatically as you type so both you and the student can write on it and instantly see the results. I simply email a copy of the lesson slides to my student at the beginning of the lesson and call them on Skype to get started. Now I know that not everyone has access to super fast broadband but that’s ok. 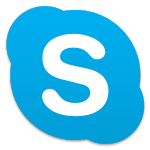 If your connection or your student’s connection is not very good and you have problems with Skype, the best solution I have found is a piece of software called Zoom.us. 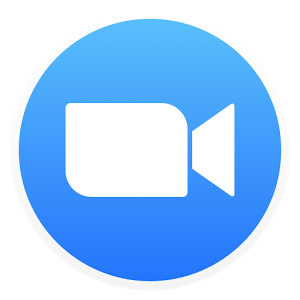 This is like Skype but more stable and works better in areas where Internet connect is poor. Zoom is one of the best discoveries I have made for tutoring online. It has enabled me to teach students I would otherwise not have been able to work with due to their slow Internet connection. The added bonus is that just like Skype, for one to one tutoring, this fantastic programme is absolutely free! Win. Now you’ve got the software basics sorted, what about the hardware? 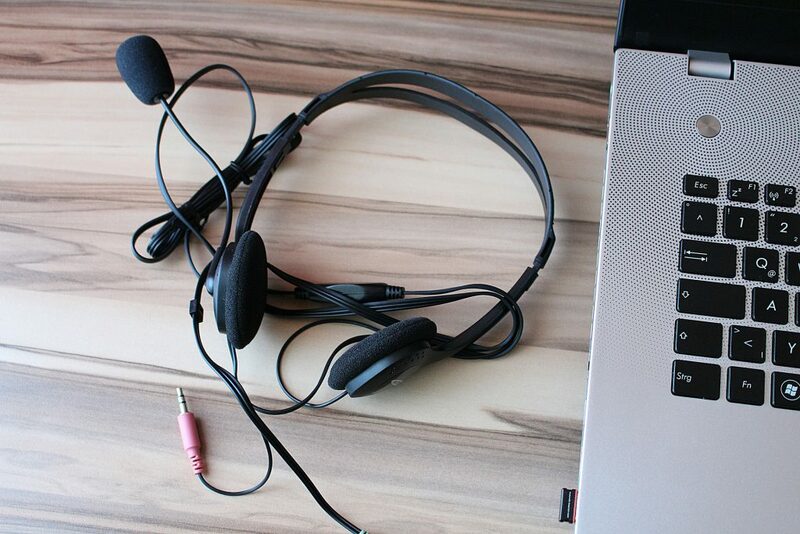 Most laptops nowadays come with a built in microphone and speakers but a headset or some inexpensive external speakers and a microphone will also do the trick. That’s it. You don’t need a lot of computer kit to get started. Once you’ve got your computer set up, it’s time to start building an online presence. The first thing I did was to get a website and this is something I definitely recommend. Now when I first started out, I didn’t have a clue about how to build a website but I knew I needed one. As an online tutor, it’s your shop front to the world and I wanted my shop to stand out from the crowd. I decided to have one built for me by a website developer, who did a great job but it wasn’t cheap. Nowadays, it’s getting easier and easier to create your own website so this is something you can do yourself and save a lot of money in the process. To help you with this, I’m going to demonstrate how you can build, host and start getting your own tutoring website in front of potential students in my next blog posts. My goal is to take this passion of mine for online tutoring and to show others how to do the same thing. Every week, I will write an article about how to tutor online, outlining every aspect of starting and running your own successful online tutoring business. From building your own website to marketing your services online and filling your schedule with paying students who will love your online lessons. Join me on my journey as I share everything that I’ve learnt about online tutoring to help you take control of your future.